“Insignificant as was this engagement in a military aspect, it was in fact a stunning blow to the Southern Rights' people of the State, and one which did incalculable and unending injury to the Confederates. It was indeed the consummation of Blair's statesmanlike scheme to make it impossible for Missouri to secede, or out of her great resources to contribute abundantly of men and material to the Southern cause as she would surely have done had her people been left free to do as they pleased." 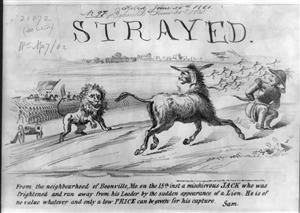 "It was also the crowning achievement of Lyon's well-conceived campaign. The capture of Camp Jackson had disarmed the State, and compelled the loyalty of St. Louis and all the adjacent counties. The advance upon Jefferson City had put the State Government to flight, and taken away from it that prestige which gives force to established authority. 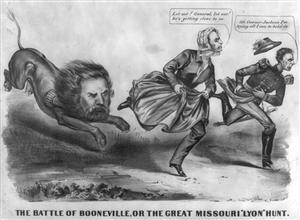 The dispersion of the volunteers who had rushed to Boonville to fight under Price for Missouri and the South, extended Lyon's conquest over all the country lying between the Missouri and the State of Iowa; closed all the avenues by which the Southern men of that part of Missouri could make their way to Price; made the Missouri an unobstructed Federal highway from its source to its mouth; and rendered it impossible for Price to hold the rich, populous, and friendly counties in the vicinity of Lexington. Price had indeed no alternative now but to retreat in all haste to the south-western corner of the State, there to organize his army under the protection of the force which the Confederate Government was mustering in north-western Arkansas under General McCulloch, for the protection of that State and the Indian Territory." "The rumor which has been so long prevalent in regard to the contemplated movement from Arkansas under Ben. McCulloch appears to me to have assumed shape and consistency, and it is no longer to be doubted that such an enterprise is on foot. To meet it, I had already, before leaving Saint Louis, dispatched a large force, consisting of the regiments of Colonel Sigel, Colonel Salomon, and Colonel Brown, under the command of Brigadier General Sweeny, commanding the Home Guard in Saint Louis. I cannot speak with precision as to the amount of force under Ben. McCulloch, but I am disposed to think it cannot be less than 5,000 men, and all that I hear makes it much greater." 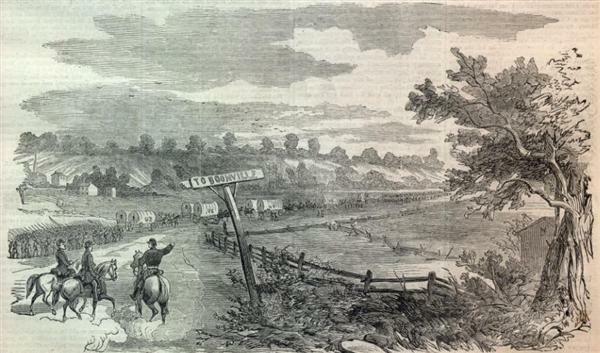 "It is my purpose to order the force under Captain Sturgis and the volunteers with him from Kansas and Iowa to follow the retreating forces of the State from Lexington in the direction of Springfield, and to follow with all the speed I can, and as soon as I can procure transportation, another body of the State troops under General Parsons and Governor Jackson, who are retreating in the same direction through the town of Warsaw. I have hopes that the retreat of the party from Lexington may be cut off by the cavalry under Captain Sturgis, and that the party under General Parsons maybe intercepted by the command which has already been to Springfield. But if these parties should be able to unite with McCulloch and the troops from Arkansas, it will swell his numbers to 10,000 or 12,000 men; and as it will be necessary for me to leave detachments at various points to secure my communications with Saint Louis, it will be necessary to have an additional force to repel the invading force from Arkansas, and I will therefore ask, if you approve the disposition of the troops made and contemplated by me, that you will order three regiments from Illinois to march out by the Southwestern Branch of the Pacific Railroad to Springfield. This route has already been secured and guarded, and the passage of :troops can be rapid and safe, and when the force is concentrated at Springfield will, I trust, enable me to repel any force which may be brought from Arkansas."